Tanzanite is one of the most beautiful gems in the world – violet/blue in colour, found only in Tanzania and of finite supply. 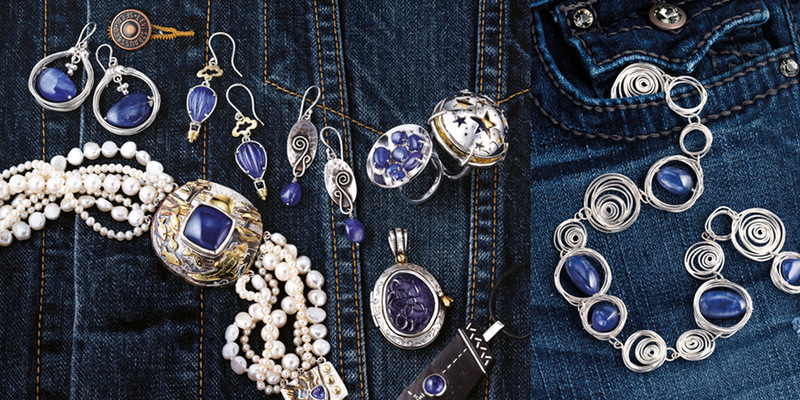 We managed to source tanzanite in unusual cabochon and carved cuts and produced a range suitable for day and casual wear – even with your blue jeans!This VAJ nickname for this collection is “Giving Tanzanite a Day Job”! If you have a piece of Tanzanite Jewellery that lives in the safe (and suitable only to be worn for The Big Night Out!) contact us to chat about the possibility of remodelling it.